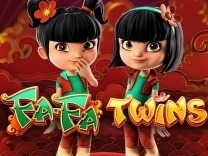 Get ready to dance in this new release by Betsoft - At The Copa.With this slot revolving around a latino dance show, you will encounter vibrant colours as you aim for big wins and the chance to land the jackpot. There are different characters in this slot which make the slot exciting and fun to play. 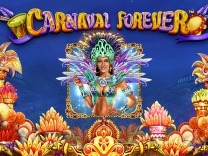 At The Copa is a 5-reel, 3-row and 30 payline 3D video slot with massive jackpots, scatters, Wilds and free spins.So get ready to dance as you spin the reels for big wins. 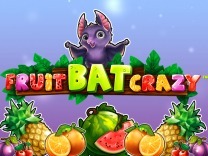 Betsoft has really outdone itself with this slot. It has cemented its place as a leader in slot game development. 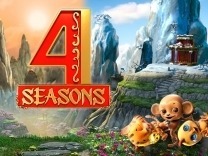 This slot offers wonderful animations which will get you hooked on the game. It adheres to the slot theme set at the Copa with the reels set in a thatched roof with the characters are excellently displayed. There is also a soundtrack which will nudge you to continue playing the slot. The graphics are amazing, appealing and interactive.You will also find that there is a female dancer on the side of the slot who will dance whenever you land a winning combination. The male dancer will also smile whenever you choose to double up your win.This is a medium variance slot which means that the slot will give you regular low payments and if you are lucky you will land the big bonus symbols which will give you an opportunity to win big.If you are looking for a slot which is fun and exciting and fun, then this game is the slot to choose. There are different characters, features which make this game incredible. This slot is recommended for all players whether you are a fan of dancing or not. 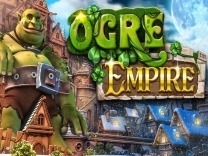 You will become engrossed in this slot the moment you start playing it. The reels are populated by amazing characters which make the slot exciting and fun to play. With symbols such as bongo drums, maracas, cocktails, flamingos, shoes, dancers, trumpets and moonlit sea you will be spinning the reels in no time. Unlike many slots which have generic card symbols, this slot only features these symbols. These symbols pay out a maximum of 500 coins for matching 5 of the symbols while the lowest amount which can be paid out is 5 coins for matching 3 of the cocktail symbols.Players can adjust their bet through the -/+ buttons at the bottom of the slot. Clicking the choose coin value button will give you a range of between 0.02 and 0.50. There is also the number of coins which can be placed on each bet line. You can choose between 1 and 5 coins per payline. If you like you can click the max bet button and be on your way to maximize your winnings. In At The Copa Slot, You will find 30 paylines which will give you multiple chances of making winning combinations with each spin. You have to match at least 3 identical symbols on an active payline to receive a payout.Watch out for the Chilli symbol as this is the best paying symbol in At The Copa Slot. Landing 3 of these symbols on lines 1, 2 and 3 will award a jackpot. While the base game is wonderful and exciting to play, this slot also offers a wonderful bonus game which will increase enjoyability and fun. 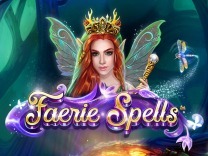 These are the free spins mode, wild symbols and reel plus the double up feature. The free spins mode has to be triggered by landing 3 dance shoes anywhere on the reels. you will then choose your dance partner and then watch as the reels spin as you collect extra credits. your chosen dance partner will become the wild during the free spins mode. 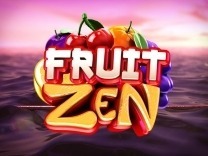 Any win during the free spins round is subjected to between 2X and 10X multiplier.There is also a wild symbol and reel represented by the ocean symbol. This symbol will substitute all other symbols on the slot except the bonus, free spins mode and jackpot symbols. When this feature appears in the middle of the reels, the entire reel will turn to a wild and you will receive an automatic free spin. If you happen to land a win, another automatic free spin and the wild will become a 2X multiplier for any win. this will continue until you do not land a win or the wild reaches the maximum payout of a 5X multiplier.For players who like to gamble with their wins, players can double up their wins through the double up feature. You will be transported to a different area where you will find a dancer who will toss the coin and you have to choose which side it will land. It is important to note that with this feature you will forfeit your wins if you choose the incorrect side.Apart from the bonus features and games, there are three different jackpots which are incorporated into this slot. 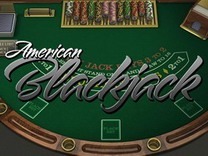 The jackpots are suave, mediane, caliente jackpots which offer different payouts. to land the suave jackpot you have to land the chilli symbol anywhere on the reels, The median jackpot is triggered by landing 5 chilli symbols on any position on lines 2 and 3, while the caliente jackpot is triggered by landing 5 of the chilli symbols on lines 1. All these jackpots payouts are 303.81, 606.40 and 909.88 coins respectively.Apart from the jackpots, there is a bonus round where you will get 2 male dancers on either side of the female dancers on paylines 1, 2 and 3 so as to trigger the bonus round. You will be required to choose one suave man to cheer as they battle it out to impress the lady.